BC's Best Raw Pet Food. SPIRO Creative are storytellers that use video to build relationships between businesses and customers using what we call heart & soul filmmaking. We create more than just video. We find the heart of your business and express that to the world in a way that authentically connects you to your audience. The etymological origin of "SPIRO" is latin: To Breathe Life Into; Breathe the Spirit of; mind, soul & courage. We unearth your businesses most powerful narrative - why you do what you do- and create a boundless, soulful expression that resonates with viewers as a beacon amongst the sea of hollow marketing. Your story deserves to be told. ​We want to tell it. The theme of this heartstring-pulling video is that MMG focuses on expanding the reach of a client’s business so that they can focus on what is important to them. Cinematic and in black and white, this story pairs a classic style of a high-end lifestyle with the modern technology. but we see them in a new light. They are able to enjoy the benefits of their life because they know the exposure of their company is in good hands. We see him/her with family on a boat, and watching his/her children or grandchildren play in a park. The final shot is of an MMG report on a laptop, which is closed by the businessperson to reveal they are beachside with their family, who they walk to in the background. 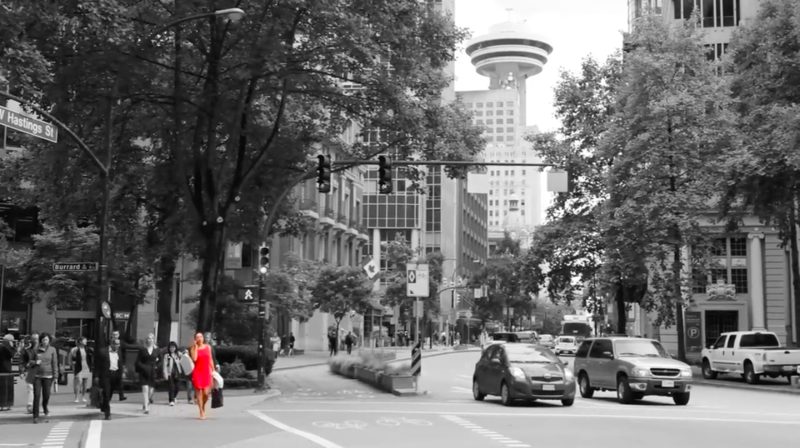 The theme of this video is how MMG helps their clients stand out, quite literally. Shot in black in white with the exception of the MMG’s branded red popping out, the story is of how companies can thrive with MMG’s help. We see imagery of typical business settings, with client’s of MMG standing out in red (dresses, ties, etc). In addition, sound is also used to emphasize this: all shots of non-MMG clients are silent, whereas MMG clients can be heard, as well as the online/TV exposure that is happening onscreen. The theme of this video is a walk through of the MMG office, with an emphasis on the services that MMG provides, specifically Custom Content Creation and Targeted Distribution. This allows not only to explain the benefits of working with MMG and to highlight the space, but also give a transparent and intimate look inside the “machinery” of MMG. ​There's a 4-6 week turn around time on delivery of videos from the day we film. Option to save 5% of the total bill if entire amount is paid upfront. Thank you for allowing us to quote on your video project. We believe that video needs to be engaging and entertaining to attract views. We work hard to develop a concept that will not only deliver customer views but will be worth sharing online. SPIRO Creative specializes in bringing out the "heart of the story" through our visual poetry and passion for what we do. Vancouver. Vancouver Island. The World. We Travel Well.